Click Here To See Action Comics #855 Comic Book! Check out this very cool 2007 SUPERMAN page which was penciled and inked by the great Eric Powell, from the story titled: "Escape from Bizarro World Chapter One!" 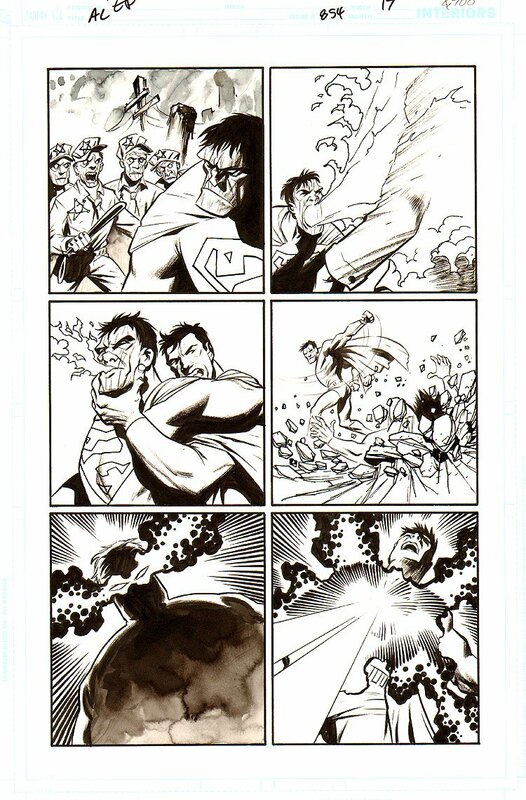 Eric Powell only drew "3" issues of SUPERMAN for DC Comics, with a CLASSIC 3 part BIZARRO storyline this page is from! Don't miss out on a GREAT opportunity to get a great page from a great artist drawing the most recognized super hero EVER! In this story, Bizarro kidnaps Jonathan Kent, calling him "father", and mentioning a blue sun. On the advice of the fortress hologram of Jor-El, Superman uses a space ship to go to such a sun for a rescue. Finding a cubic planet, he lands, and enters a Bizarro Daily Planet building. Attacked by bizarros, he finds a bizarro Clark Kent, and exposes him as Bizarro Superman. They fight, and Superman is defeated. 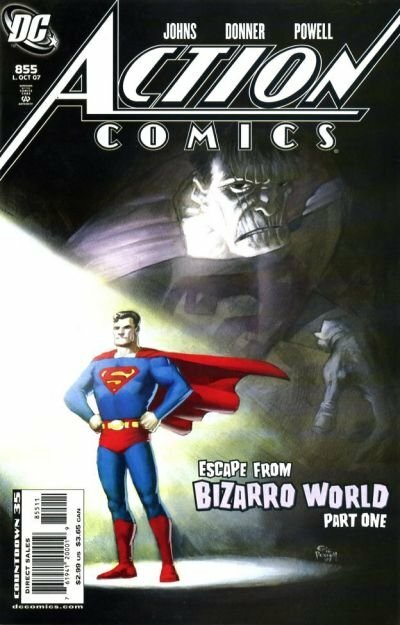 Bizarro takes him to his version of the fortress, where Jonathan Kent is also being held.